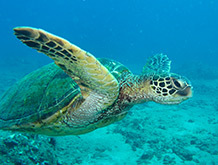 The Hawaiian green sea turtle is one of the first turtle species ever studied. Once hunted and poached for meat and shell, the Hawaiian green sea turtle is now protected by the Endangered Species Act of 1978 under Hawaii State Law. Over the last 30 years, the green sea turtle population has seen a steady growth, and they are now the most frequently sighted turtles in Hawaii. Known as the honu in ancient Hawaiian language, these turtles nest in the Northwestern Hawaiian Islands, where they thrive in their natural habitat. 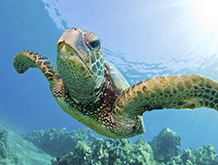 It is common to see the Hawaiian green sea turtles while snorkeling or scuba diving in the Hawaiian oceans. 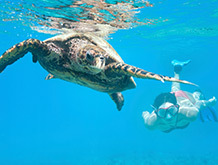 They can be found in groups at popular “Turtle Cleaning Stations,” like Coral Gardens in Maui. They feed in the coastal areas of the main Hawaiian Islands, and can easily be spotted from the shoreline. 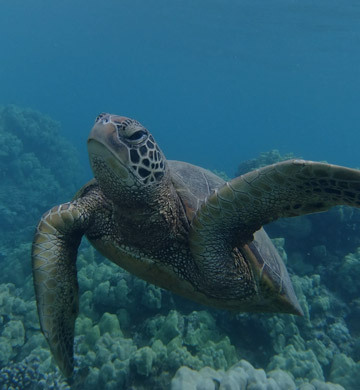 Not only are the green sea turtles one of the most popular icons to see while on vacation in Hawaii, but they also have a significant cultural meaning. In Polynesian folklore, the honu was believed to be the aumakua (ancestors). While in the presence of the honu, spectators must always respect them, and the years of ancient history that the green sea turtles symbolize. Most seals are found in cold climates, but the Hawaiian monk seal is most comfortable inhabiting warm tropical waters. 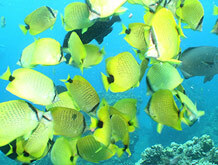 They enjoy basking in the sun on sandy Hawaiian beaches, found in large groups on the less inhabited small atolls of the Hawaiian Islands. It is rare to see a Hawaiian monk seal, and if their presence is witnessed, they must be treated with the utmost respect for their privacy. 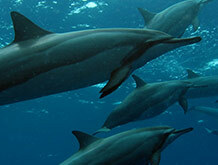 These gorgeous mammals are an endangered species, and find protection from harm on the shores of the Hawaiian oceans. Hawaiian monk seals feed off of tropical fish, spiny lobsters, octopus and eels. 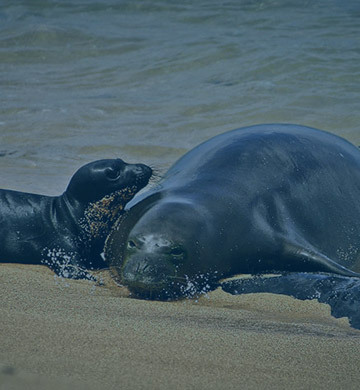 In the ancient Hawaiian language, these monk seals are referred to as illio holo I ka uaua which translates to ‘dog that runs in the water.’ The more common English term is historically based, as they were named after their folds of skin that resemble a Byzantine monk’s cowl. Reaching up to 7.5 feet long, and weighing up to 610 pounds, this carnivorous species is a truly remarkable sight to see. Spotted moray eels are not only found in the Hawaiian and Pacific Oceans, but also spread across the Western Atlantic, the Caribbean Islands, Coastal Mexico, Central and South America. These seemingly pre-historic marine animals are commonly seen swimming through coral reef crevices, shallow rocky coastlines, and sea grass beds. When snorkeling on Maui, keep your eyes peeled as the spotted moray eel likes to peak their heads in and out of small places, hiding during the day. 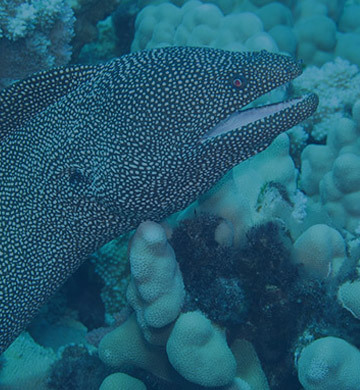 At dusk, the spotted moray eel becomes a coral reef predator, feeding on a variety of fish and crustaceans; parrotfish, trumpetfish, lobsters and octopus. They are constantly opening and closing their mouth, appearing to possibly be a threat, but in fact, this is how they are able to breathe. They are a part of the Benthic species, spending most of their time close to the ocean floor. Their body, head and tail are covered in small purple, black and dark brown spots, with a yellow background. Spotted moray eels reach a maximum length of approximately 40 inches. 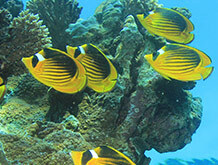 Raccoon butterflyfish are found surrounding the Hawaiian Islands, Tahiti, Fiji, and the outer lying islands of the Indo-Pacific Ocean. In Hawaiian, these fish are referred to as kikakapu, suggesting a sacred reference, and not commonly eaten. 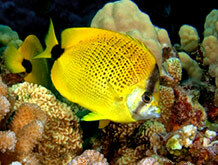 They can grow to up to 8 inches in length, and are the most popular butterflyfish in Hawaii. They are most recognized for their black mask over their eyes, thus being more popularly called the raccoon butterflyfish. 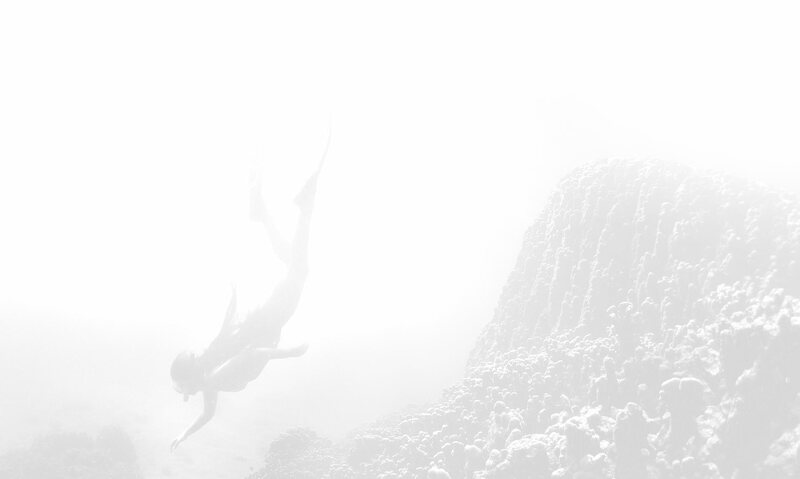 When snorkeling in Maui, keep your eyes peeled for their bright yellow, white and black contrasting tones. They feed on a wide variety of corals, small marine invertebrates, algae and fan worms; primarily feeding in the early to late evenings (nocturnally). During the day, raccoon butterflyfish are seen swimming in shallow waters, and around coral reefs with depths less than 60 feet. There are many variety of octopus found in Hawaiian oceans. 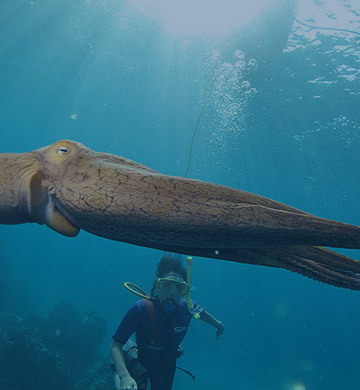 When snorkeling in Hawaii, the most common variety is the Hawaiian Day octopus, also referred to as he’e in the Hawaiian language. They are part of the mollusc family, closely related to squid, cuttlefish, and the nautilus. They lack a shell, but they have the same basic body design. Octopus are an amazing marine animal, with interesting habits. They have a remarkable intelligence, and have the ability to change color instantly to match their surroundings. When they are shocked, or make an exit, they release an ink cloud which is intended to distract possible predators. Some octopus can live up to 3 years, usually only mating once in their lives. They range from a 1/2 inch to 30 feet long. As they swim gracefully through the waters, octopus have been referred to as the ocean ballerina, with a mischievous, elegant and ethereal disposition. Without a doubt, the humpback whale is one of the most beautiful, and most incredible marine animals to see when visiting the Hawaiian Islands. 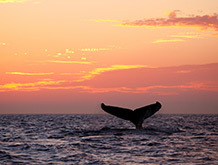 Whale watching is the #1 ocean activity in Hawaii, and best experienced when on the magical Island of Maui. 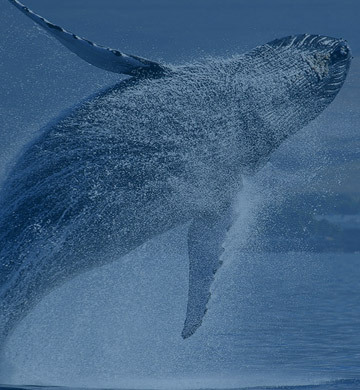 From December to April of every year, the humpback whale travels 3,500 miles from their Alaskan feeding waters to the Hawaiian oceans for their annual mating season. 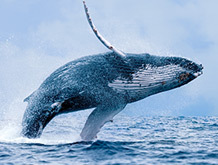 These amazing creatures range from 25ft to 45ft in length and can weigh up to 80,000 pounds each. 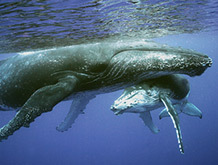 Baby humpback whales are in utero for 11-12 months and can be approximately 12-14 feet in length at birth. While whale watching, snorkeling, scuba diving, or while on a Maui sunset cruise, humpback whales grace the areas surrounding West Maui, and the outer islands of Moloka’i, Lana’i, and Kaho’olawe. These peaceful creatures are intelligent and magical. Witnessing humpback whales in their natural environment is definitely one of the most fascinating and rewarding experiences of your life. 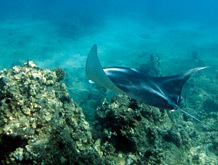 Manta rays are one of the most beautiful and graceful species of Hawaiian marine animals. They just so happen to be the longest winged creature on earth, with wingspans that can reach up to 30-feet, most commonly in the 12-16 foot range. 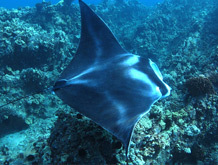 Manta rays have an estimated lifespan of 25 years, and are commonly found swimming off the coasts of Hawaiian shores. 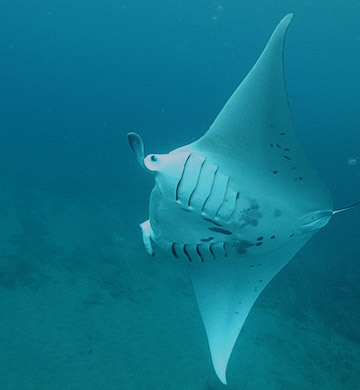 Manta rays are most commonly found near areas rich in zooplankton, where they feed on small fish, crustaceans, and microscopic plankton particles. When breeding, a male is found swimming belly-to-belly with a female, and the mating ritual begins. Milk-fed manta ray pups are in utero for approximately 12 months, with one or two pups born per litter. Closely related to the stingray and shark families, manta rays lack the sharp teeth and predator nature, having been evolved into filter-feeding ocean creatures. They are often found in wrasse cleaning stations like Olowalu on Mauii, enjoying the attention of the onlooker. Like the humpback whale, manta rays have been seen breaching above the ocean surface, sometimes performing impressive somersaults. In the ancient Hawaiian language, the slate-pencil sea urchin is referred to as the ha’uke’uke ‘ula’ula. Recognized by its vibrant red spines, they inhabit the coral reefs of Hawaiian oceans, and are commonly seen while snorkeling in Hawaii. 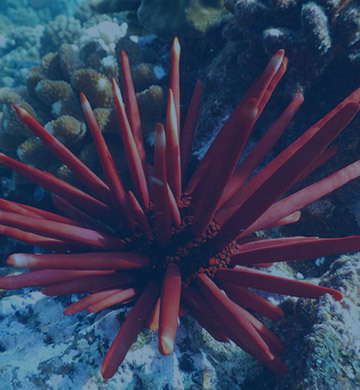 They received the name slate-pencil sea urchin because their thick spines were once used as a replacement for chalk on chalkboards in Hawaiian school classrooms. Belonging to the Echinometridae family, slate-pencil sea urchins have thick spines covering their skeleton. 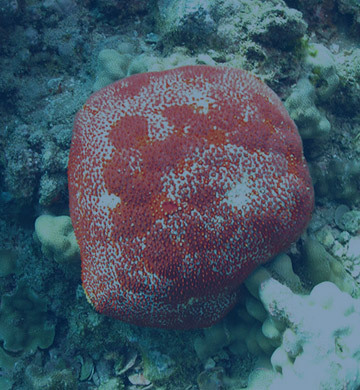 Their underbelly is decorated with a star-shaped pattern, with tiny tube feet that allow them to suction to coral reef formations. Their main diet consists of algae, and they also feed off of microscopic plankton. They range in size, and have been recorded up to 12 inches in length. Their spines are not toxic like other species in the urchin family, and they play a vital role to the ocean marine life eco-system. While consuming debris, and providing homes for tiny shrimp, these vibrant creatures help maintain cleaner reef zones, and ocean clarity. 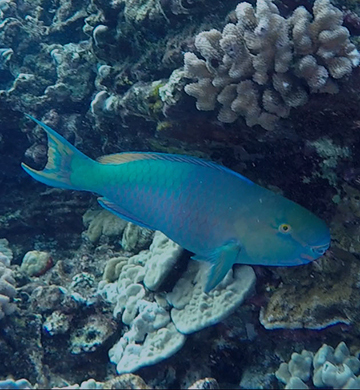 The parrotfish is a species of fish commonly found in Hawaii and is one of the most commonly seen fishes by snorkelers on Maui. Known as uhu in Hawai’i, these fantastically colored reef dwellers have blunt heads and parrot-like beaks (hence the name) that give them silly looking smiles. They’re exceptionally loud eaters as you can often hear them eating the coral underwater. Parrotfish actually start out colorless. Their amazing colors emerge when the female fishes transitions into males. The brightly colored males dominate the premier spawn locations as they are known to be territorial. The majority of species reach somewhere around 12–20 inches in length. Pincushion sea stars are located in abundance surrounding Hawaii and the Pacific-Polynesian oceans. Found at depths ranging from 3 to 100 feet, these amazing creatures are easy to spot with their vibrant red and gold coloring. Pincushion sea stars range in size from 7 to 10 inches, and are commonly found tucked into the nooks and crannies of the tropical reef shelves surrounding Hawaiian coastlines. Pincushion sea stars are part of the Echinoderm family which is a variety of marine animals. They are recognized by usually having five-point radial symmetry, with some exceptions. All varieties of starfish, sand dollars, sea urchins and sea cucumbers are all Echinoderms, summing up to over 7000 species. Sea cucumbers are part of the same species as starfish and sea urchins, the Echinoderm family. With over 1,250 known variations, many of them are shaped like a cucumber; they are soft-bodied ocean dwellers. 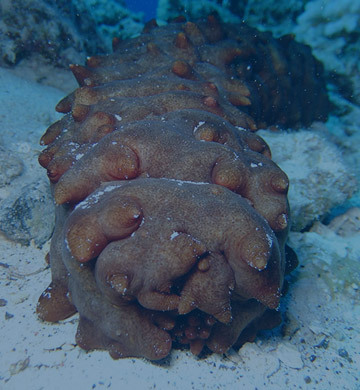 Sea cucumbers have a thick leathery skin, with a long body forming one gonad. Just below their skin, sea cucumbers have an endoskeleton with a calcified structure joined by connective tissue. 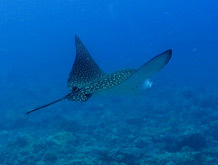 They can be seen while snorkeling or SCUBA diving on Maui, inhabiting in both shallow and deep waters. They feed on tiny particles of ocean debris, microscopic plankton, and miniature ocean life. Sea cucumbers are easy prey for other ocean marine animals, and upon attack release a sticky thread-like discharge for protection. These creatures appear in a wide variety of colors, frequently seen in vibrant shades of reds, golds, spotted oranges, and purple tones. 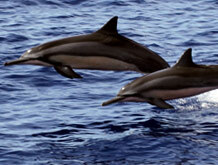 Protected by the Marine Mammal Protection Act (MMPA), spinner dolphins are commonly spotted in the Hawaiian oceans. They frolic and skip across the ocean surface, always performing a happy dance for onlookers. 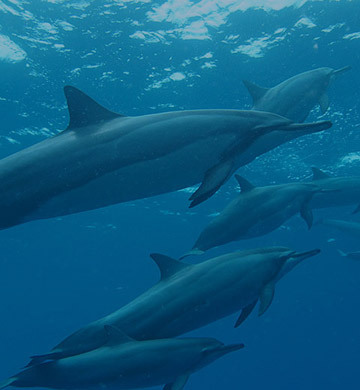 Extremely social by nature, spinner dolphins are one of the most frequently sighted marine animal in Hawaii, enjoying the company of whale watching boats, and snorkeling catamarans. They spend their daytime hours swimming near the ocean surface in groups of 12, and travel into deeper waters in the evenings to join larger groups, feed, and avoid possible predators. 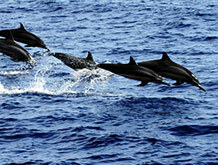 Spinner dolphins range in size, and on average grow from 4 to 7 feet in length. This smaller dolphin breed can weigh anywhere between 100-165 pounds, and is recognized by their long narrow beak, grey dorsal cape, white and grey-toned belly.  Copyright © 2019 Marine Charters, LLC – Carson City, NV. All Rights Reserved. 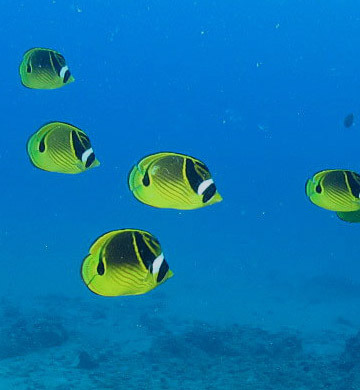 Pride of Maui | Maui Molokini Snorkeling Tours | 101 Maalaea Rd, Wailuku, HI 96793.